The perfect collection of books to keep beside your pillow. Cosy classics that help you fall in love with bedtimes. Calling all mummies, daddies and little ones! You know that a great bedtime story makes the perfect end to each day. So let us help you find them with this charming pack of bedtime bliss. 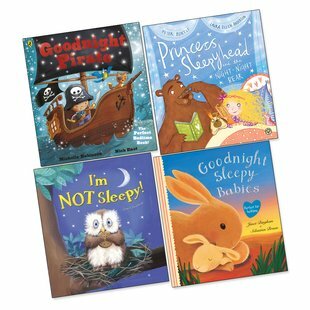 Four lovely bedtime favourites chosen by our picture book experts: funny, exciting and ever so soothing. Snuggly stories, bouncy rhymes and cuddly animals: the nicest way to nod off.